The Radical Republicans were members of the Republican Party who were fervent believers in the abolition of slavery and total equality of the races. They also opposed the Fugitive Slave Act and the Kansas-Nebraska Act. John C. Fremont was briefly the 1864 U.S. presidential candidate of the Radical Republicans. The Radical Republicans took a hard line against the Confederacy early during the Lincoln Administration and opposed Lincoln's "too easy" terms for reuniting the United States following the end of the Civil War. Utilizing membership within the Joint Committee on Reconstruction as a political platform, the Radical Republicans demanded a more aggressive prosecution of the war and the faster destruction of slavery and Confederate nationalism. During the American Civil War, and later into the first part of Reconstruction, the leading Radicals were Thaddeus Stevens in the House, Charles Sumner in the Senate. After his election as president in 1868 Ulysses S. Grant became the leading Radical Republican. An important Republican opponent of the Radical Republicans was Henry Jarvis Raymond. Raymond was both editor of the New York Times and also a chairman of the Republican National Committee. In Congress, the most influential Radical Republicans during the war and later reconstruction were U.S. Senator Charles Sumner and U.S. Representative Thaddeus Stevens (who died in 1868). A humane and civilized people cannot suddenly become inhumane and uncivilized. We cannot be cruel, or barbarous, or savage, because the Rebels we now meet in warfare are cruel, barbarous and savage. We cannot imitate the detested example. Horace Greeley promoted amnesty by posting bail for Jefferson Davis after the war. Lyman Trumbull and Hannibal Hamlin championed ethical treatment of the Confederate officers imprisoned and rallied for their quick release. During Reconstruction, Radical Republicans increasingly took control, led by Sumner and Stevens. They demanded harsher measures in the South, more protection for the Freedmen, and more guarantees that the Confederate nationalism was totally eliminated. Following Lincoln's assassination in 1865, Andrew Johnson, a former War Democrat, became President. The Radicals at first admired his hard line talk, but soon discovered his lenience toward the South when Congress passed the Civil Rights Act of 1866 over Johnson's veto—the first time that Congress had overridden a president on an important bill. The Civil Rights Act of 1866 made African Americans American citizens and forbade discrimination against them, with enforcement in federal courts. The Fourteenth Amendment to the United States Constitution of 1868, (with its equal protection clause) was the work of a coalition formed of both moderate and Radical Republicans. By 1866, the Radical Republicans supported federal civil rights for freedmen, and by 1867 set terms that allowed free slaves the right to vote in the South, but not ex-Confederates. While Johnson soon opposed the Radical Republicans, the decisive Congressional elections of 1866 gave the radicals enough votes to enact their legislation over Johnson's vetoes. The Radical Republicans soon replaced ex-Confederates officeholders with a Republican coalition of Freedmen, Carpetbaggers, and Scalawags. The Radical Republicans impeached Andrew Johnson in the House but failed by one vote to remove him from office. The Radical Republicans led the Reconstruction of the South and the impeachment of President Andrew Johnson. All Republican factions supported Ulysses S. Grant for president in 1868. Once in office, Grant became the leader of the Radicals, and forced Sumner out of the party. Grant used federal power to shut down the Ku Klux Klan. By 1872, the Liberal Republicans thought that Reconstruction had succeeded and should end. 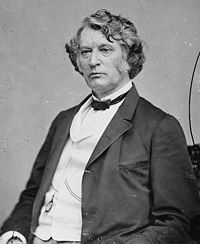 Many moderates joined their cause as well as Radical Republican leader Charles Sumner. They lost as Grant was easily reelected. In state after state in the south, the Redeemers movement seized control from the Radical Republicans, until only three were left in 1876: South Carolina, Florida, and Louisiana. Rutherford B. Hayes was a moderate Republican and when he became president after the Compromise of 1877, he ordered the removal of federal troops and Redeemers took over. Both Liberal Republicans (in 1872) and Democrats argued the Radical Republicans were corrupt by the acts of accepting bribes (notably in the Grant Administration) and by violating the founding American principle of government by the consent of the governed. Even supporters agree much of the Radical Republican motivation was political (creating a constituency beholden to the Republicans). During the years from the 1890s to the 1940s, Radical Republicans were often denounced by historians of the Dunning School for being corrupt and violating the principles of democratic self government. Since the 1960s, the Radical Republicans advancement of civil rights and equal treatment for African-Americans following emancipation was hailed by neoabolitionist historians who charged that racism itself was the worst form of political corruption and violation of government by the consent of the governed. John C. Fremont: The 1864 U.S. presidential candidate of the Radical Republicans. John Bingham: U.S. Representative from Ohio and principal framer of the Fourteenth Amendment to the United States Constitution. Benjamin Butler: Massachusetts politician-soldier; hated by rebels for restoring control in New Orleans. Zachariah Chandler: U.S. Senator from Michigan and Secretary of the Interior under Ulysses S. Grant. Salmon P. Chase: U.S. Treasury Secretary under President Lincoln; Supreme Court chief justice; sought 1868 Democratic nomination as moderate. Henry Winter Davis: U.S. Representative from Maryland. James A. Garfield: U.S. House of Representatives leader; less radical than others; U.S. President 1881. Ulysses S. Grant: Commanding Union general 1864-1869; U.S. President 1869-1877. James H. Lane: U.S. Senator from Kansas, leader of the Jayhawkers abolitionist movement. 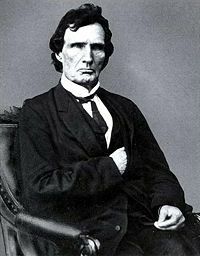 Thaddeus Stevens: Radical leader in the U.S. House of Representatives from Pennsylvania. Charles Sumner: U.S. 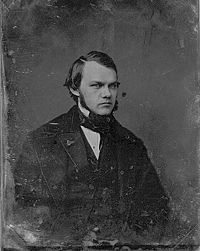 Senator from Massachusetts; dominant Radical leader in Senate; specialist in foreign affairs; broke with Grant in 1872. Benjamin Wade: U.S. Senator from Ohio; he was next in line to become President if Johnson was removed. Henry Wilson: Massachusetts leader; Vice President under Grant. This page was last modified on 23 June 2015, at 15:44.